This is a handmade minimalist leather wallet. 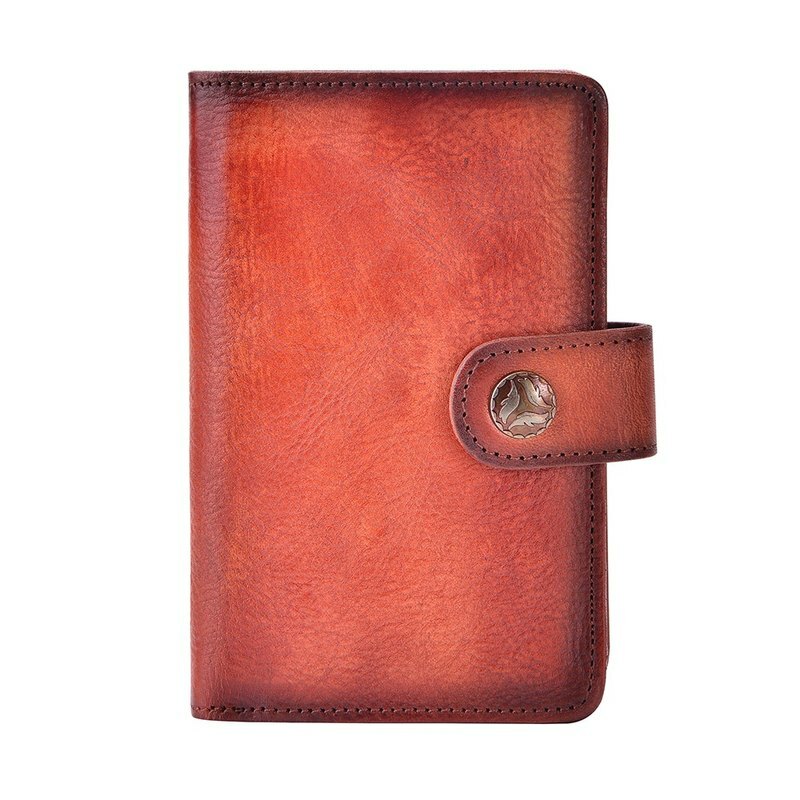 Features: Material: Best quality genuine leather Multi-card slots, and one photo window pocket, one zipper pouch for coins, and one big compartment for cash. Dimension: H5.7" x W3.74" / H14.5 x W9.5 cm Color: Black/Red Package: Each wallet is well packed with a nice box. Note: please do not display under the sun, and avoid to touch water. Use wet cloth to wipe if get dirty. Please be noted each leather piece is unique and please allow a little color difference. Get it now and be different!